The Chinese Spring Festival is approaching. We would like to take this opportunity to wish you and your families all the best for a happy and healthy Chinese New Year! Our office and factory will be closed from Feb. 10, 2018 to February 22, 2018 for Spring Festival. And we would resume our normal operating hours on February 23. Sorry for anything inconvenient caused. 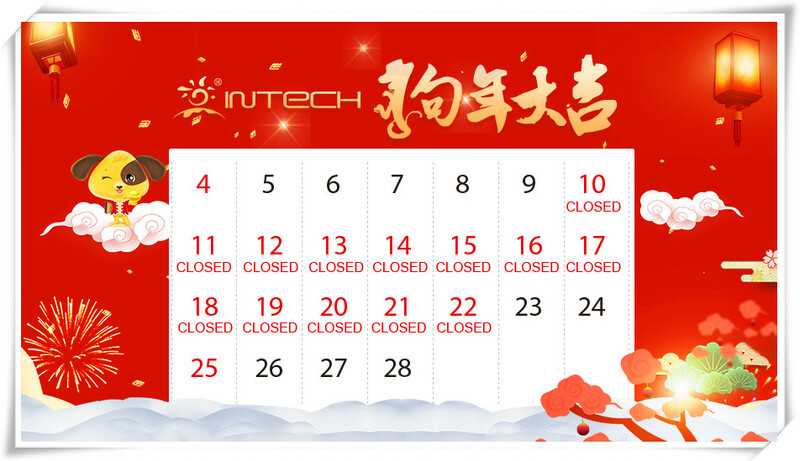 If you have something urgent during this period, please feel free to contact us via our email account at market@cnintech.com. It will be checked periodically throughout the holiday.